According to our previous post concerning the international anticipation of Apple’s new devices, almost every country agreed the launch date of the new smartphones would be sometime in early October. However these predictions has been contradicted with the report in First Financial Daily claiming that the approvals process needed would push the launch date back by almost two months, to 28th November. 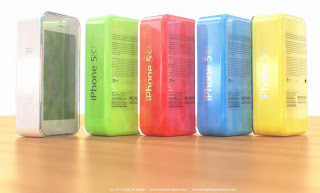 The recent reports confirm that the Chinese version of the iPhone 5C will support the local TDD-LTE version of 4G and is expected to would give the iPhone a 19 percent boost in sales, which would make it the best-selling smartphone in China. Rendering the trusted sources, the iPhone 5C is expected to go on sale in most markets around 20th September, following what is believed to be a joint launch with the 5S at a media event on 10th September. It’s still uncertain if the iPhone 5S will also be launched with TDD-LTE. So with the September 10th event being around the corner, all we've left to do is to continue guesstimating and purporting. Do not hesitate to share your assumptions and expectations in the comments below!